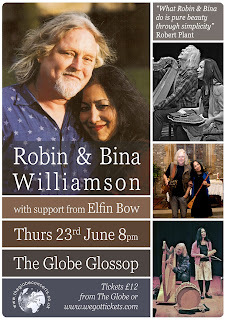 Robin and Bina Williamson draw on a wide variety of original and traditional songs, stories and music from Celtic, English, Indian and Old Timey roots; celebrating the turning year and the mystery of being alive. Robin is legendary worldwide as musician, storyteller and writer. He has forefronted many genres over his 50 year career. Bina is an inspired and gifted singer-songwriter and multi instrumentalist in her own right. She has a hauntingly sweet melodious voice. 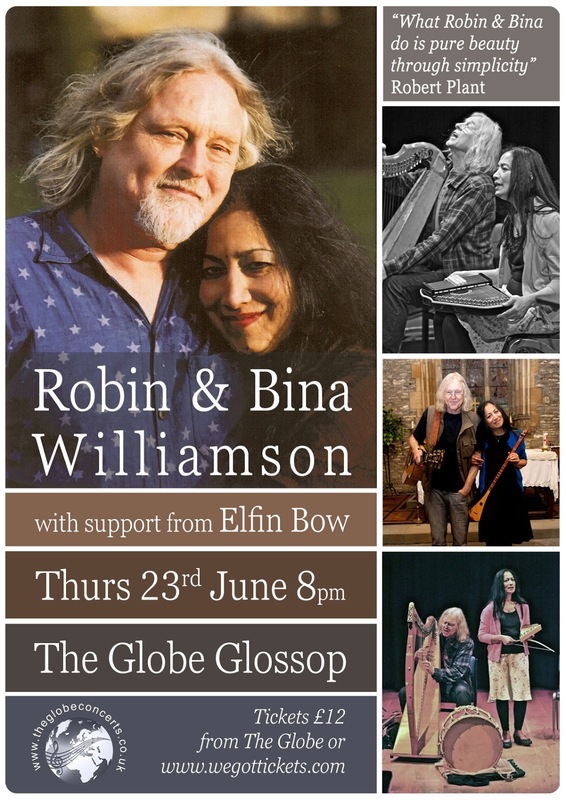 Their performances together feature their East West vocal harmonies with harp, bowed psaltery dulcimer and diverse other instruments. "An evening of enchanting entertainment"